If you are looking for stand for your magic show to place production material, your search ends here. Here we are presenting unique CANE TO DOUBBLE UMBRELLA, perfect for any stage performance. You have a black cane standing next to you. This cane has silks on it, and is your silk stand. You remove a silk from your silk stand whenever you need a silk for your act. 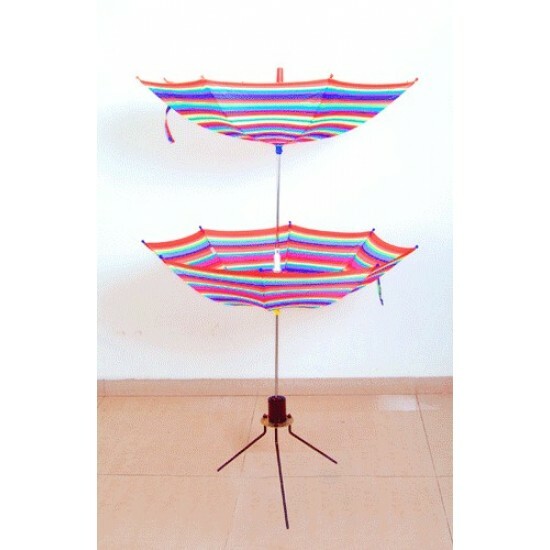 When the last silk from the silk stand is removed, the silk stand magically transforms into a huge DOUBBLE UMBRELLA STAND, you can use this stand to put your other production material like silks, cards, flowers, sponge balls Etc. The stand is beautifully made and powder coated. Everything is detachable and can be packed into a small box. Note: Umbrella Colors can vary as per availability from Image and video. Amazing Magic Tricks for All A magic wand (or a borrowed pencil or Biro pen) penetrates through three borrowed coins.We supply you a special plastic.. The Perfect Opener for the Manipulator! And stage magicians. A must have for your stage act! 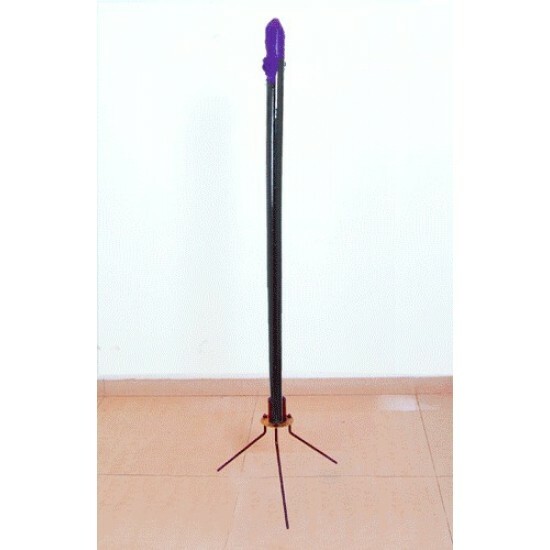 This high quality Wand to table magic prop for top profe.. The perfect trick for any stage, Very colorful Opening.. The magician Walk on stage with empty hands and points towards his silver cane in his.. The first fully magnetic ring designed by Magicians for Magicians!The PK Ring is a complete, 100% Neodymium Rare Earth Magnet fashioned into a 'we..
A Redesign Lit Match Producer Which Never Fails .The specially designed gimmicks supplied consists of a Steel Clip on a safety pin. The purpose is..